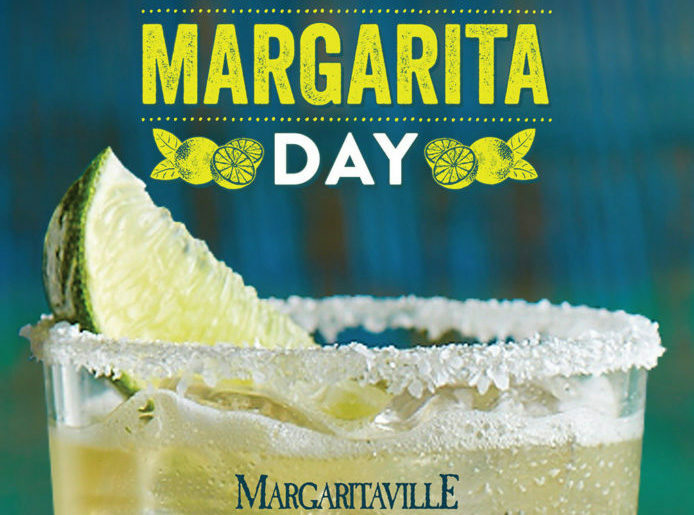 Join us in Margaritaville to celebrate National Margarita Day with $3.99* traditional margaritas and $10 off any $50 retail purchase**. Also, don’t miss the 4 p.m. class on how to make a Perfect Margarita and the margarita toast at 5 o’Clock! **Valid only on 2/22/18, in stores at participating locations. Not available on sales items. Timing is everything, and now is the time to make your plans for National Margarita Day at Margaritaville Hollywood Beach Resort! Hollywood Broadwalk – It’s never too early to celebrate. Join us on the Hollywood Broadwalk on Sunday, Feb. 18, Monday, Feb. 19, and Thursday, Feb. 22 for live Margarita-making sessions. 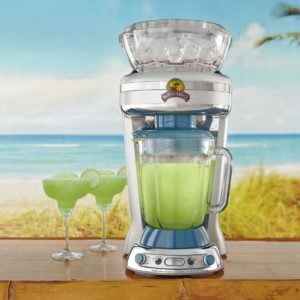 Our FCM’s (Frozen Concoction Machines) will be providing flavorful recipes of the most refreshing, unique margaritas, especially for this national day of recognition. LandShark Bar & Grill – Give a friend a Margarita and you have a friend for life. Teach a friend to make an amazing Margarita and you create a VIP for every occasion! Sign up for one of our famous Margarita Mixology Masters classes on Feb. 22 and develop your own flavorful flair for mixing the perfect Margarita. We will host two classes this holiday, at 5 p.m. and at 6 p.m.* Registration is free, and space is limited, so reserve your place today by calling 954-842-7907. Margaritaville/LandShark/Lone Palm/5 o’Clock Somewhere – Sample different Margaritas at each of our eight inspired eateries. Be sure to collect a blender cup from Margaritaville, LandShark Bar and Grill, 5 o’Clock Somewhere and Lone Palm for the full set of blender cups. Each comes with a FREE refill all National Margarita Day long. St. Somewhere Spa – The beauty of a precisely concocted Margarita is skin deep at the St. Somewhere Spa. In honor of this tasty holiday, St. Somewhere Spa will be offering our signature Lost Shaker of Salt treatment all day for $99! Quench your skin and taste buds by sipping on a complimentary margarita* during this invigorating exfoliation treatment. Our signature salt scrub not only casts away dry skin but also helps increase circulation, leaving your skin ultra-smooth and your mind energized. Call 954-874-4430 to book your appointment. 5 o’Clock Somewhere Bar & Grill: 5 p.m.- 8 p.m.
Hollywood Beach Bandshell: 7 p.m.- 9 p.m. The full week-long entertainment schedule can be found here. Resort Offer – Do we have you tempted? Given a month like this February, there’s no better time to join us; that’s why we’ve created our special “I Gotta Go Where it’s Warm” package just for you. Come celebrate with us! *All weekly performances are subject to change due to weather and any unpredictable circumstances. Reservations at JWB not guaranteed until reservation confirmation received via website reservation tool or phone call confirmation. Spa specials limited by capacity of spa. Availability is not guaranteed other than for services reserved and confirmed in advance of your stay. The Margaritaville Island Hotel and Margaritaville Island Inn are the perfect blend of mountain latitude and island attitude. Call to make reservations anytime Feb. 22 – March 8, 2018, for any future stay in 2018 at the Margaritaville Island Hotel or Margaritaville Island Inn and receive two margaritas in Latitudes Bar. Island Hotel Resort Offer– Call (844) 434-6787 and mention code “NATIONAL MARGARITA DAY” to reserve this offer. Island Inn Resort Offer– Call (844) 515-2506 and mention code “NATIONAL MARGARITA DAY” to reserve this offer. Livin’ for the Rita’s Package – We are livin’ for the Rita’s with this National Margarita Day Package. Book now with promo code RITA for breakfast in bed, or at the Frank & Lola’s Cafe, plus two margaritas to help you celebrate. Stay additional nights at a lower rate. Valid for reservations until March 1, 2018. Frank & Lola Love Pensacola Cafe also will be having a FREE Margarita Making Class! Join Tiki Bar Nate on National Margarita Day as he whips up some of our finest margaritas, including our signature White Sands Margarita. Breathe In, Breathe Out, and Rita On! Join the National Margarita Day Celebration in Biloxi, MS. The weekend celebration will be Thursday through Saturday and feature live music, margarita specials, giveaways and more! Earn a degree from the top Mixologist at Margarita University, enjoy Keys and Cocktails every Friday night in February on the 10th Floor Lost Key Bar, and enter to win one of 22 32oz. 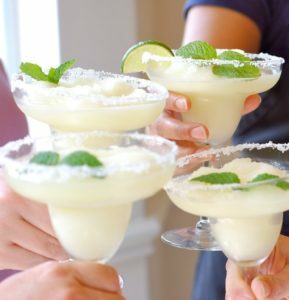 Margaritas for FREE on Facebook! Margaritaville Key West Resort & Marina is celebrating National Margarita Day with a special offer! Book by Feb. 28 for stays through April 30 and receive 10% off your trip including daily house margaritas for two. Also, everyone who stays by Feb. 28 will be entered into a drawing for a Frozen Concoction Machine! Drawing to be held on March 1. Go where it’s warm! Celebrate National Margarita Day with drink specials in paradise, at the newest resort on Grand Cayman’s spectacular Seven-mile Beach. 5 o’Clock Somewhere Bar– $25KYD (approx. $30USD) unlimited Frozen Margaritas from 10a.m. to 9p.m. YARA Global Steakhouse– $12KYD (approx. $15USD) Champagne Margaritas each from 5 p.m. – 9 p.m.